The first stage is to decide on the type of deal you want: loan, lease, hire purchase, or dealer finance. Then it’s a case of choosing the provider whose product best suits your needs. A personal loan is the most popular way to finance a new car, according to a poll on whatcar.com. About a third of those who responded to our survey favour this method. Borrowing money from a bank, building society or other lender gives you instant ownership of a car. Comparison websites will show you which moneylenders offer the best deals. The annual percentage rate (APR) is the easiest way to compare loans, and it’s essential to work out how much a loan will cost you over its lifetime. If the APR isn’t clearly shown (it should be), then ask for it. The headline rate isn’t necessarily what you’ll get, though, as it can vary, depending on your credit rating. It’s tempting to go for longer loan periods because that means smaller monthly payments – but you’ll also pay a lot more in interest. Be as disciplined as you can about keeping the loan term as short as possible. The downside of an unsecured personal loan is that any of your assets could be seized in the event of a default on the payments. With dealer finance, only the car is vulnerable to repossession. Go for a personal loan if you say yes to one or more of these statements: You don’t have a deposit for a finance deal; You want to own the car outright; You plan to keep it for a while; You don’t want annual mileage restrictions. To help you find the right deal for you, What Car? 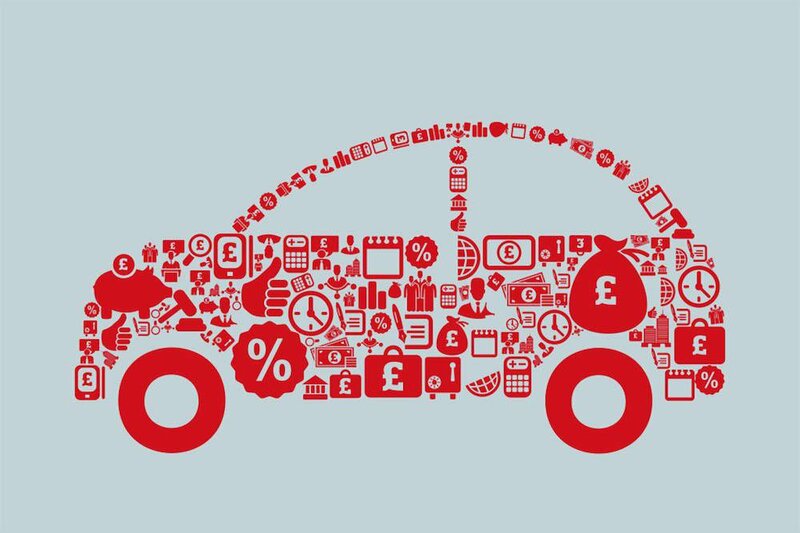 has a car finance comparison tool which lets you compare over 300 products from 15 different lenders, all in one place. Visit What Car? Finance by clicking here. Personal Contract Purchase (PCP) was ranked as the second most popular car-buying method in our whatcar.com poll, accounting for 25% of the votes. PCP is a bit like hire purchase (HP) in that you pay a deposit, the interest rate is fixed and the monthly repayments are offered over a choice of lending terms, which are usually between 12 and 36 months. Where PCP differs from HP is at the end of the term, when you’ll have three choices. You can return the car to the supplier, keep the car or trade the car in against a replacement. The first option, returning the car, costs nothing unless you’ve gone over an agreed mileage or failed to return it in good condition. In either case there’ll be an excess to pay. If you keep the car, you have to make a final ‘balloon’ payment. This amount is the car’s guaranteed future value, or GFV, which is set at the start of the agreement. The GFV is based on various factors, including the length of the loan and the anticipated mileage as well as the car’s projected retail value. If you exercise this final buying option, you can of course keep running the car, or you can sell it yourself and, if the car makes good money, you’ll pocket any equity above the GFV that you’ve paid back to the lease company – but that’s not guaranteed. If you’re trading the car in, any GFV equity can be used as a deposit towards the next one. Just bear in mind that the GFV doesn’t always contain a huge amount of equity at the end of the term, so when you’re working out monthly costs, it’s probably wise to factor in a few extra pounds per month that you can put away in preparation for the next deposit at the end of two or three years. If the car has gone into negative equity – which can happen – you’ll have to fund a new deposit yourself if you want another PCP. Shorter leases are more likely to come with more accurate GFVs and manufacturers are quite proactive in trying to get you out of a car early if they think there’s scope to get you into a new one on a decent monthly rate. It’s not uncommon for dealers to call customers on three-year deals a year early, because starting a new PCP keeps the buyer tied to that manufacturer for a further period of time. Go for PCP if you say yes to one or more of these statements: You want lower monthly repayments; You like the flexibility of options at the end of the agreement; You can confidently and accurately nominate your mileage. After a bank loan, hire purchase (HP) is the simplest way to buy a car. It was the third most popular choice in the whatcar.com poll, scoring 16%. You have to pay a deposit with an HP deal, which is usually around 10%, followed by fixed monthly payments. The HP company owns the car until the final payment has been made and the agreements can also include ‘option to purchase’ fees, which you may have to pay to formerly become the owner of the car at the end of the term. Up to that point, the person making the payments has no legal right to sell the vehicle. Nevertheless, some people do sell cars on hire purchase deals before the final payment has been made, without the legal right to do so. The good news for buyers of cars with outstanding HP finance is that the law clearly protects private purchasers who buy vehicles subject to undisclosed HP agreements. The finance company can take action against the seller if they wish, but not the buyer. The credit on an HP agreement is secured against the car, so it’s similar to dealer finance in that the only the car can be seized if you default on the payments. If you need to sell the car before the end of the agreement, you’ll have to repay the outstanding debt first – and ‘early settlement’ fees may apply. Go for HP if you say yes to one or more of these statements: You want to eventually own the car; Your budget and circumstances suit fixed monthly repayments; Your disposable income is likely to decrease over the agreement term (for example, if you’re planning a family); You like low-risk credit secured against the car only; You don’t mind not owning the car until the debt is fully repaid. Also referred to as personal leasing, Personal Contract Hire (PCH) was rated as the fourth most popular car-financing method in the whatcar.com poll. The word ‘Hire’ tells you what PCH is all about, because you’re basically renting a car. PCH contracts typically last for two or three years, with an agreed mileage limit of 10,000 miles a year. There’s no option to buy the car at the end of the contract; you just hand the keys back to the finance provider. Your payments are effectively just covering the car’s depreciation. While you’re running it, you’re responsible for the car’s maintenance. On the plus side, the deposit is low (three or six months’ rental is common), as are the fixed monthly repayments, and you can reduce the impact of repair bills by incorporating an optional maintenance element into the agreement. Check to see if a separate manufacturer servicing package is cheaper before you tick that box, though. Cars that hold their value well are good choices for PCH, because the difference between their new and used values will be smaller, so you’ll pay a lower amount. Cars that plummet in value from new are bad choices, because you’ll pay a much larger amount. As with PCP, you’ll need to make sure the car is in good condition when you hand it back, or you could face additional fees. Go for PCH if you say yes to one or more of these statements: You don’t want to own a car; You like being able to change cars frequently; You like the idea of driving better cars than you could normally afford; You don’t mind paying for the car’s maintenance. If personal contract hire appeals to you then we recommend visiting our own What Car? Leasing platform for the best leasing deals on the market. Research is all-important here, because dealers love lazy buyers who haven’t done their homework. There’s no point haggling a good price for your new car and your trade-in if you’re going to throw it all away on a poor dealer finance package. Check out the detail on current (and, if you can find them, upcoming) manufacturer finance deals. These might include interest-free offers, low APR rates or deposit contributions. Don’t fixate on the rate or monthly repayments, though; look at the total amount you’ll have to pay back to understand exactly how much dealer finance will cost you, and compare that long-term costs with any deals you can find elsewhere. Don’t assume that a dealer’s finance rate is set in stone, because they’re often negotiable. Take time to go through anything you’re not sure about, and get the exact final offer in writing. The only thing at risk if you don’t keep up dealer finance repayments is the car. Bear in mind, though, that even with sweeteners such as free servicing deals thrown in, dealers will still make money from their finance packages – the profit is built into the agreement somewhere. Go for dealer finance if you say yes to one or more of these statements: You like the convenience of’'package’ deals You’re happy to do some cost-comparison research You don’t want to do the research, but you don’t mind paying extra. If you want to own a new car, using your own money to buy it outright makes sense, especially if it is at a time that UK savings interest rates are low. Buying a car outright is also a sensible alternative to leasing if your mileage is high or unpredictable, because leasing companies can levy high excess mileage charges. Using a credit card was the least popular method of buying a car in our whatcar.com poll, but even then, it was used by nearly one in eight respondents, despite often high minimum interest rates. However, many cards offer 0% on balance transfers and on purchases for a set period of time. If you’re prepared to put in the effort, you can avoid paying interest altogether by rotating your balance between several cards. If you are looking to purchase a new car, visit our new car buyer marketplace for a range of great deals from approved car retailers all at or below our Target Price, which is the most our mystery shoppers believe you should pay for your car.